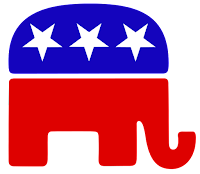 WASHINGTON (The Nil Admirari) - The Republican Party and the few conservative hatemongers not associated with it announced today they have grown tired of the people they hate fighting back. The persecuted conservatives also stated they will no longer tolerate the intolerance and "sass" of those they are intolerant of. "The Americans we hate must stop defending themselves and let us do our thing," said Speaker John Boehner (R-OH) as he drank his late morning jug of Chablis. Boehner added, "They just need to accept there are other Americans who are better than them and only pay lip service to that whole 'equality, liberty, and justice for all' thing. Any resistance to that amounts to them persecuting us." "Fighting conservatives for trampling voting and reproductive rights, supporting racist police officers and right-wing terrorists, and trying to take healthcare away from millions of Americans is the epitome of hate," stated Republican presidential candidate and former Florida Governor Jeb Bush. "The recent Supreme Court decision on gay marriage is an example of the broad persecution of Christians who hate gays," stated Republican presidential candidate Senator Ted Cruz (R-TX). A large majority of America's conservatives agreed they were ready to go down in flames in 2016 as long as they could keep hating their fellow Americans and be on the wrong side of history again.